Would An MSC Cruise Make A Great Family Holiday? Is the glitz and glamour of a cruise compatible with a family holiday? 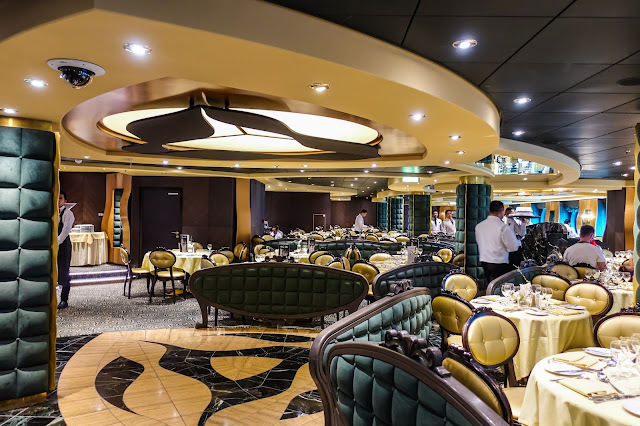 When I think of a cruise I think of young at heart retirees in evening dress sitting at the Captain’s table and maybe doing some ballroom dancing. I’m sure the film Titanic and their formal wear heavily influences this impression. I recently spent a day on board MSC Preziosa, one of MSC Cruises impressive fleet of ships, and had a taster of what a family cruise is really like. There was still the sparkles and sophistication I would expect (complete with a Swarovski crystal staircase), but there was an impressive family focus too. What do you want from a family holiday? My family want activities that will keep everyone happy, comfort and food which we will all enjoy. The different ships all have slightly different offerings and each time they launch a new ship it has increasingly impressive facilities. 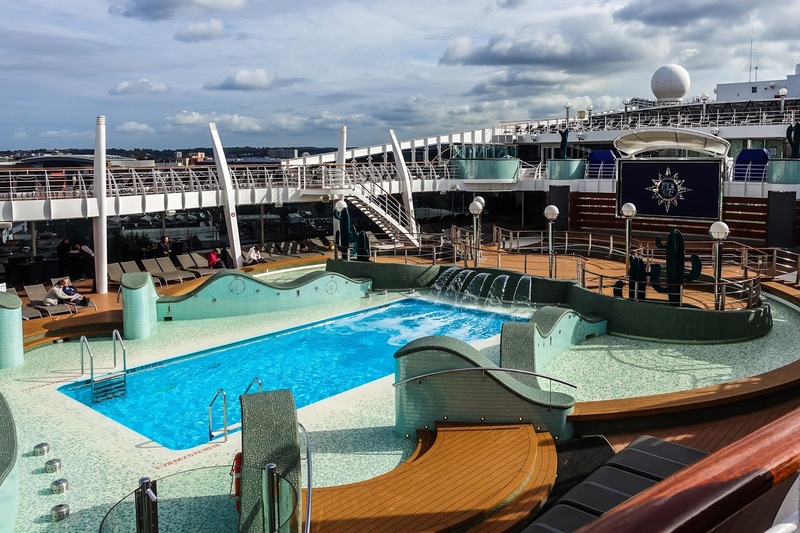 So how would a MSC Cruise meet the needs of our family? First rule of our family holidays: if the kids are happy we are happy, if the kids are bored it ruins it for everyone. 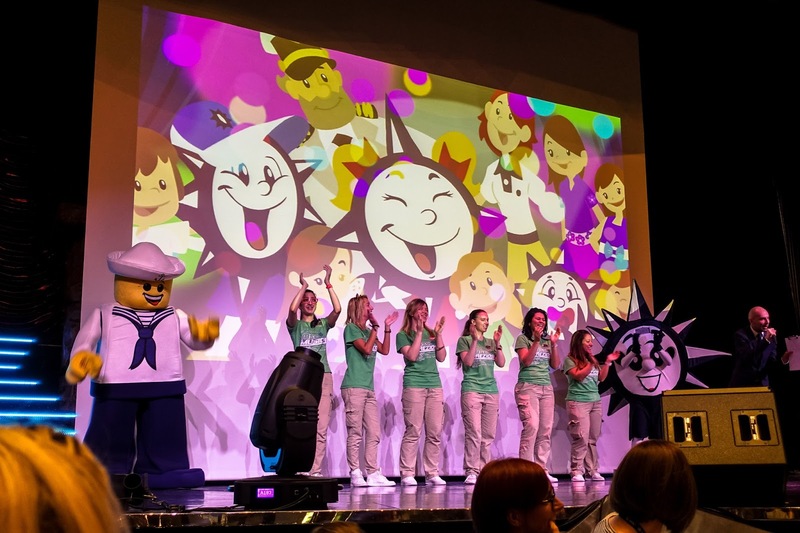 As a family owned company MSC Cruises have put a lot of thought into how to keep children happy. The Kids' Clubs are broken down into different age groups from Mini Club for the youngest guests right through to the Teens Club for 15 to 17 year olds. 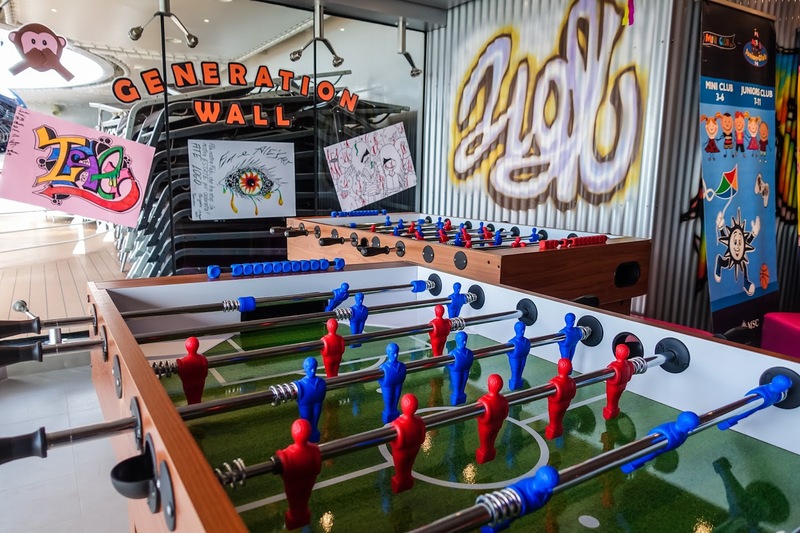 This means the activities and facilities can be targeted at the age group ensuring they all have a great time. The range of activities each day is impressive and I was particularly impressed with the outside pool complete with waterslides and that they can go to a 4D cinema. It’s so easy to pick a holiday which meets the needs of children, but parents can spend all their time watching from the sidelines and not really getting a break themselves. With such a comprehensive Kids' Club on an MSC Cruise parents get to spend quality time together as a couple (although they have special packages from single parents too!). The idea of sitting down to eat one of the delicious meals with my partner and not having to constantly focus on my daughters has a definite appeal. As does sitting in one of the 7 bars and lounges while watching the sea out the window. Being on mummy duty most of the time at home even the idea of using the gym without clock watching sounds exciting. Then there is the option for a little pampering in the spa or lounging on the adults only sun deck. It all sounds like a wonderful way to relax. We aren’t a family that just wants to spend a week lounging by the pool though and there is plenty more to do without leaving the ship. There is a library, art gallery, exercise and dance classes, sports tournaments and arts and crafts. 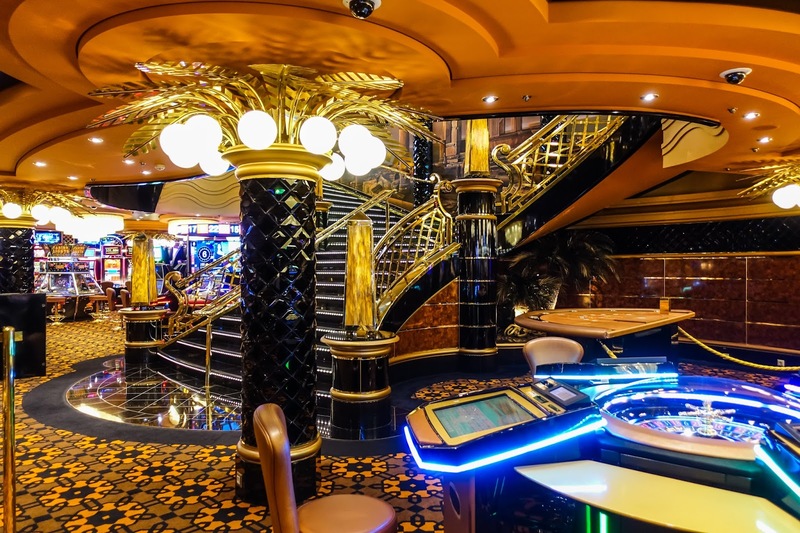 In the evening there is the option of going to the casino, taking part in a talent contest, quizzes or karaoke or going to one of the six Broadway style shows they have each week in the huge theatre. With these options and more you would struggle to fit everything in even if you wanted to. When the ship arrives at a port you can choose to leave your children on board at the Kids' Club and go explore, but I like the idea of introducing my girls to new places and cultures. The biggest difference between a cruise and other types of holidays is that while your hotel stays the same you get to explore completely different places each day so it would be a shame to miss out. Depending on the route you choose you could be visiting anywhere from Germany, Norway and Iceland to exploring the warmer Jamaica, Mexico and Bahamas. 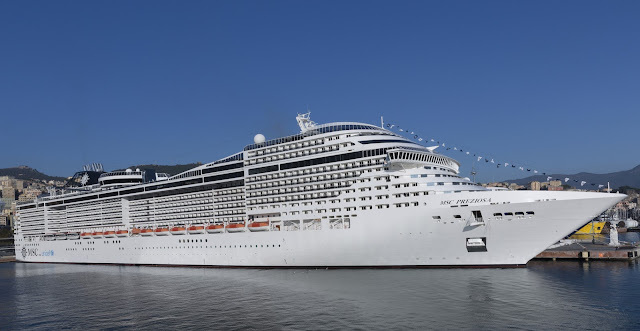 MSC have a large fleet which means there are a huge range of destinations they visit all year round. When you dock at a port you can choose to explore on your own or book one of the many excursions available. There are plenty of activities for families on board too. With the DOREMI Family activities parents can join in too, these include a family disco. For one day each cruise there is also LEGO experience on board where there are lego activities for the whole family. For some time away from the crowds there is mini bowling or swimming in the indoor or outdoor swimming pools. Like in any hotel there are a range of rooms available onboard the cruise ship. From the more basic cabins to luxurious yacht club suites the options really depend on your budget. The Superfamily offering for up to 6 people sounds great to me because you get two connected cabins providing separate space for adults and children if required. You also get two bathrooms. My children eat a wide range of food, but it is reassuring to know there are children’s menus in all the restaurants which will provide more familiar options. When we don’t all want to eat together there is the option of the Happy Diners service where kid’s eat their meal while parents enjoy their starter, then they are escorted to the Kids' Clubs to have fun leaving the parents to enjoy the rest of their meal at a more leisurely pace. Of course if enjoying activities in the Kids Club they get to eat there too with the entertainment staff. Spending the day on board MSC Preziosa really changed my view of cruise holidays. The ship was absolutely huge (I could see it from miles away driving into Southampton). Although it's a bit intimidating once on board the size is a good thing. 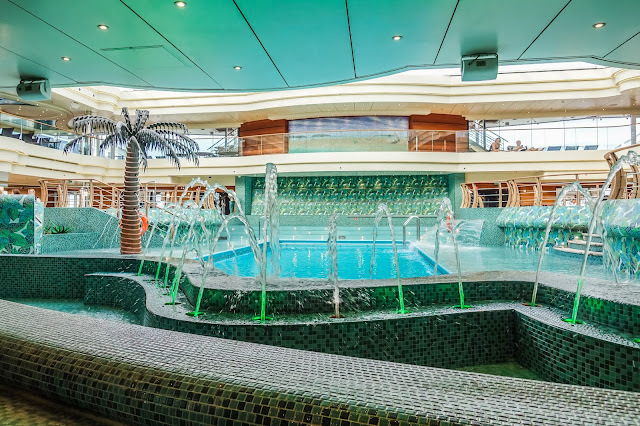 The ship may carry over 4000 passengers and 1000 plus crew members, but along with the amazing facilities there is enough space over the 14 decks available for guests that you won’t feel crowded. I will definitely be considering a cruise for future family holidays. Gorgeous pics and capture of the day. Thanks so much for coming along to BlogCamp and I hope we'll see you at another event in 2018! I always think of cruises to be the thing you do when retired and your children are grown! I can’t believe how much they have for children. I definitely want to go on a cruise at some point :) sounds like there is lots to do!